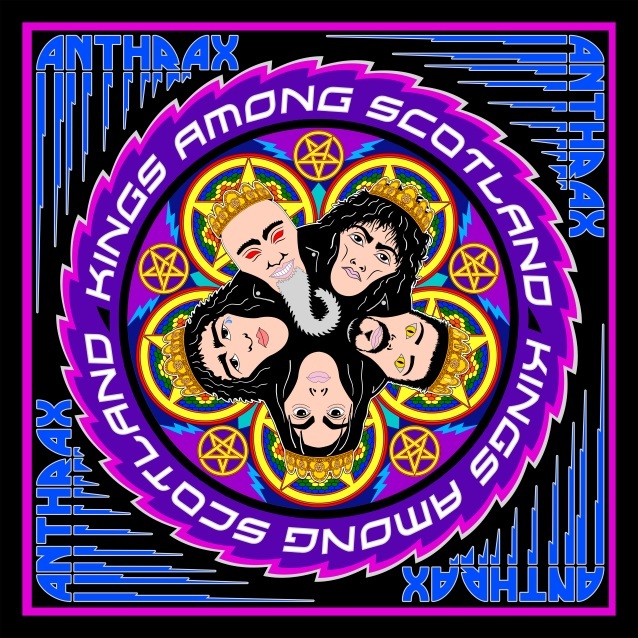 Anthrax will release “Kings Among Scotland”, a new live DVD filmed this year at Glasgow’s Barrowland Ballroom, on April 27. Recorded February 15 before a sold-out crowd, the two-hour package delivers the thrash band's entire live show alongside interviews, behind-the-scenes footage and other B-roll shot on the band's tour bus, backstage, in hotels and elsewhere; the DVD will also include a "gear rundown" from each of the band members. "Playing for our friends at the Barrowlands has always been very special," says bassist Frank Bello. "We all know we're going to get together and have an insanely great time, and we think that incredible interaction and energy really comes through on this video." 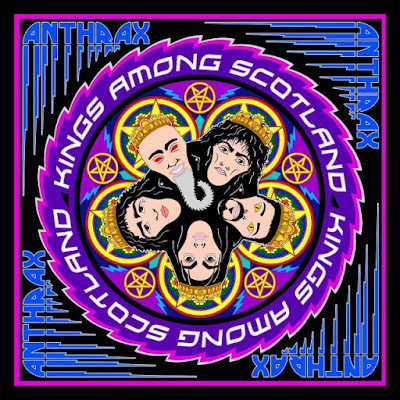 Directed by Paul M. Green (Opeth, The Damned, The Levellers) with the sound mixed by Anthrax studio producer Jay Ruston, “Kings Among Scotland” was filmed using 17 cameras, including a crane and several mobile and stationery Go-Pros to capture all the action. "It was pretty a intense show," explains guitarist Scott Ian, "especially when the crowd was so insane, the floor actually started moving up and down." Anthrax’s live show on the spring tour is presented in two parts: a fan-voted favorites set followed by a performance of their 1987 album, “Among The Living”, in its entirety. Ahead of the live DVD release, Anthrax have a pair of projects set to surface this month. On December 12, Ian will publish his new book, “Access All Areas: Stories From A Hard Rock Life”, which sees the guitarist recount his craziest rock stories as he shares tales of humor, excess, fun, debauchery, food, booze, and mayhem from his many years on the road. The 2017 reissue sees the two projects available in a 2CD package, as well as individually on limited edition gatefold vinyl. Anthrax will launch a co-headlining tour of North America with Killswitch Engage in Montreal, Quebec on January 25.